Convert stationary clothing racks into mobile displays by using the durable casters found at DisplayMart.com! These wheels are available with or without brakes, in black or chrome finishes, and with 3/8" or 5/16" threaded stems. 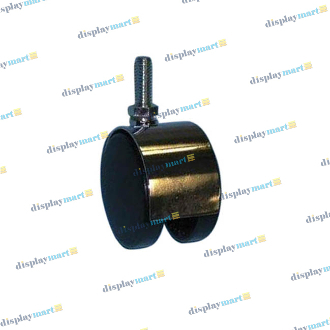 Heavy duty steel ball casters, and adjustable leveler glides are also available on DisplayMart.com.